I’m going to focus mostly on forwards here, though I will likely also segue into centres a little bit too because of Jamie Roberts. In the end I want to bring this all together and talk about how it’s a bit of an issue for Australia. We take carrying into contact as a given. It’s part of the game, always has been and (probably) always will be. But we often don’t think about why teams do it. What is the purpose of the carry? Taking the contact happens for three reasons. The first is that it can’t be avoided. 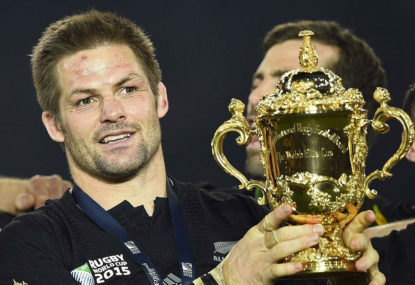 Real rugby purists will tell you that the goal of every run is to move forward and not get tackled. Unfortunately there is a bunch of guys on the other team seeking to stop you. This means that you take contact because the opposition makes contact with you and you can’t break out of it. If you try, you risk losing possession. This is pretty simple stuff with the desired result being you don’t lose ground; you maintain and recycle possession and the game moves on. The second kind of taking the contact is to reset attacking play. This can happen from front foot, static or retreating situations. If you are attacking, get a break and run into an isolated position, the next play might be to run into contact, slow things down and reset for the next attack. During static situations carries into contact might be used to reposition the angle of attack, moving breakdowns toward the centre or to one side of the field, so as to prepare for a set play. On retreat you may use carrying into contact in a desperate attempt to maintain possession while the rest of your team retreats onside, from where an attack or exit play can be mounted. The third kind is the carry into contact as an attacking play in its own right. 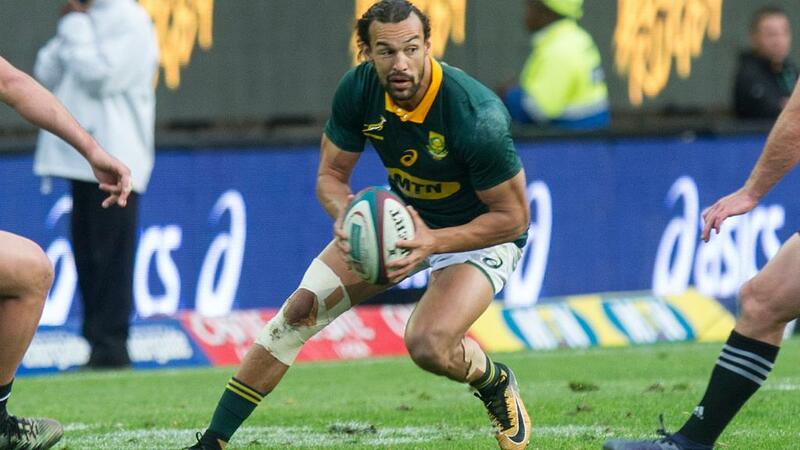 The aim of this carry is to take contact and use momentum and leg drive to chew up metres, then either offload or quickly recycle the ball to maintain momentum. This is often employed against rush defences to force the defence onto the back foot and open up holes. It’s also a good way to drive the ball up the field for an exit play when pinned deep in your own 22. This strategy can also be used as an exit play itself, lining up a number of big carries in succession to march up the field. Sometimes attacking contact can lead to line breaks where defenders are bumped or fall off the tackle, this can lead to big metres gained and some of the best entertainment. Why bother going into these basics? Because the desired result of each carry, both as part of the overall game plan and in individual game situations, has a massive impact on the types of player you have in your team and how effective they are at executing a game plan. This brings us to the philosophical difference in what a carry should be and the approach to contact. Is carrying into contact a result of simple necessity or the foundation of a game plan? Do you seek to run into space, taking the contact because the space disappears, or do you seek contact in order to create incremental gains? I’m not going to say this is essentially a north-south division, but certainly there are some teams that have traditionally preferred one to the other. 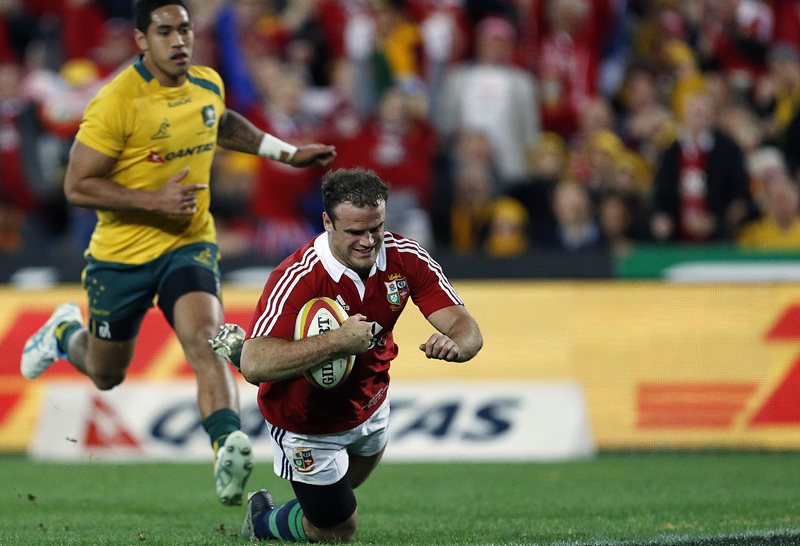 England love contac – they thrive in contact-heavy games and select accordingly. 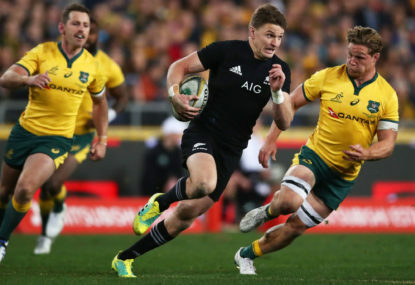 The All Blacks have always had a philosophy of running into space and have devised tactics to specifically create space. The Wallabies of the past sought space; nowadays I think they are more focused on a series of phase-building contacts, for better or for worse. The problem with seeking to attack space in the modern era is the evolution of defensive structure and discipline. Well executed fan-out-and-rush defences leave very little space on the paddock to attack and are difficult to break down to create space. New Zealand have taken the approach of using short passes in the forward pack to commit more defenders in each passage of play. This is very difficult to execute, however, and requires a forward pack with excellent handling skills. Without the ability to create space it is exceptionally difficult to score, and teams start building phases and going nowhere until a mistake comes. Both Argentina and Australia can be guilty of this approach, though Argentina has improved recently. With the above in mind the game today is not really about choice. You can either keep smashing through contact until you get to a try-scoring opportunity or you can use contact as an approach to generate holes in the defensive line. Without players getting well over the gain line regularly it’s just so difficult to build an attack in this day and age. You have to do it, so how do you do it? So we know what carries into contact are used for and how important they are to implementing an attacking game plan. How come so many players carry differently? This again comes back to game plan and the players you have and what they are good at. Carrying is a lot like passing or kicking – there are different kinds with different reasons for use and reliability of success. Carries can broadly be broken down based on three characteristics: body height, ball control and leg drive. How many times have you seen a player run high into contact and get absolutely smashed in the ensuing tackle? Conversely, how often have you seen a prop stick their head down, walk through contact and face plant on the other side? Body height is key to how a player approaches contact in a given situation and has a bearing on the effectiveness of a carry. Body position into contact is relative to the ability of the player to achieve the position and the desired result of the carry in a given situation. Tight carries demand a low body position. This situation reduces the opportunity to build momentum and is often employed against well-set defenders who are among the most effective tacklers in a side. Low body height lowers the centre of gravity and focusses the energy of the player’s momentum into a smaller point of contact. It also makes chop tackles around the legs more difficult to effect. 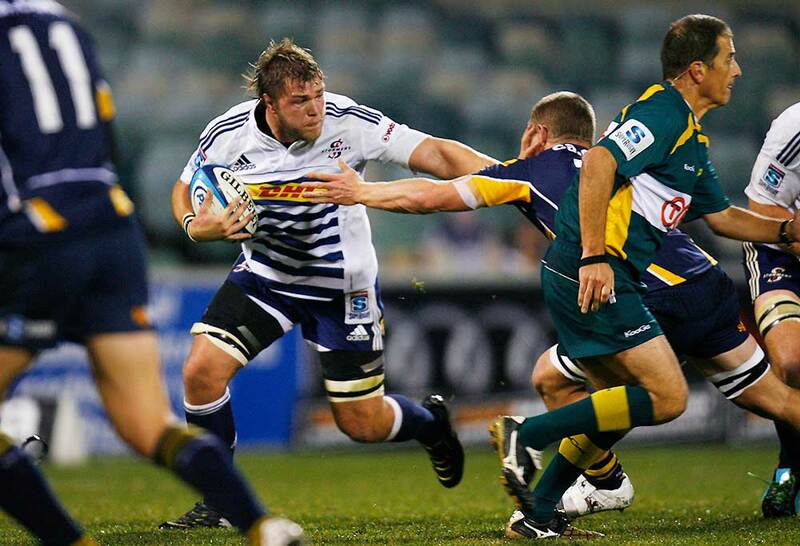 Commonly the realm of props, the best tight carriers around at the moment play for Exeter in the English Premiership. Players like Dave Ewers and previously Thomas Waldrom are big men capable of getting low to the ground and grind through tight contact. 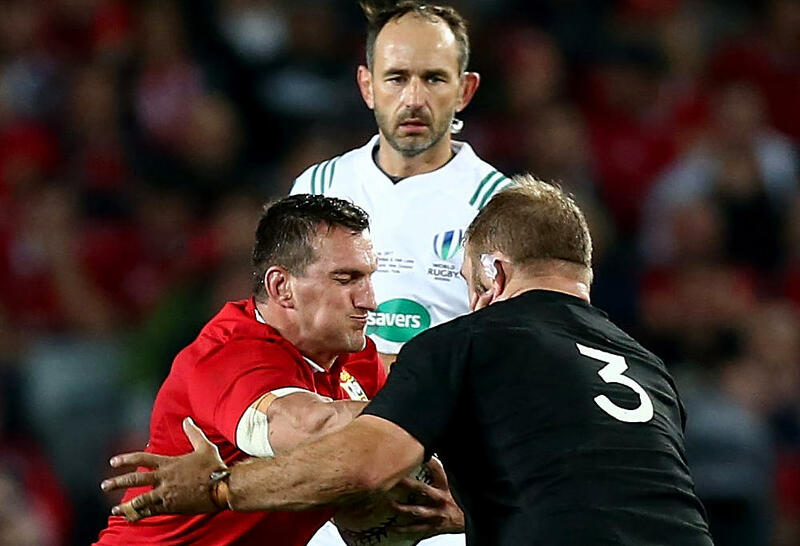 Low body height carries are lower risk, can be effective for tiring out frontline defenders and are the go-to approach for pick and go attempts at scoring a try. Carrying higher is riskier. 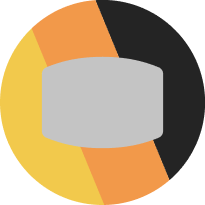 The centre of gravity is higher, making it easy for a player to be knocked over. A high carry also presents a larger and easier target to tackle. However, a high carry allows much more mobility, increasing the carrier’s ability to get wide on the tackling player’s shoulder. It also opens up the body, allowing the carrier to reach greater speeds. High carries aren’t effective off the ruck but can be very effective a little wider, especially if the carrier can hit the ball with pace. Successful high carriers tend to be exceptionally powerful players with extreme upper body strength and also a fair bit of weight. They use their brute strength and speed generated in an upright position to knock over defenders, blasting through the advantage and putting the defence. 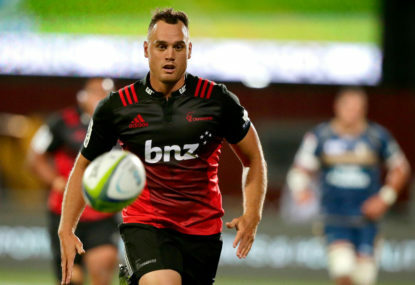 This approach tends to be favoured by big, mobile eighth men like Duane Vermeulen, Billy Vunipola, Louis Picamoles, and Facundo Isa. How a player carries the ball before and into contact mostly affects their options in the tackle situation and the level of ball security they have through the tackle situation. There are three broadly different approaches to holding the ball leading up to contact, each having their own advantages and disadvantages. These are the two-hands-in-front, tucked-under and the closed-ball handling approaches. 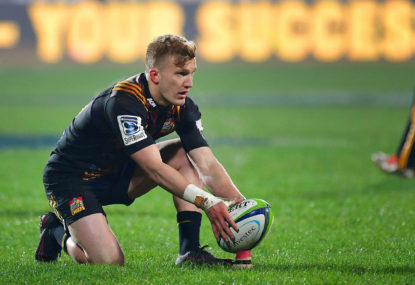 A player running with the ball tucked under one arm is perhaps the quintessential image of rugby, and for good reason – holding the ball under one arm allows for a more natural running style than having the ball in two hands, improving mobility and pace. It also frees up an arm to be used to perform a fend or to brace against impact with the ground. The only real disadvantages are in regard to control. Having the ball under one arm forces a pass to be made in the one-arm-offload style, which is much more difficult to direct than a two-handed pass. It is also very hard to hang onto the ball in a strip situation if only one arm if looped around the ball. The shape of the ball makes it relatively easy for a defending player to squeeze it through the loop of even the strongest players arm. The combination of strengths and weaknesses makes this the best carry to use in space when seeking to use pace and strength to break the line or go around it. It becomes risky when used in traffic as it exposes the ball to a strip and doesn’t allow the player the option of a quick two-handed pass to a teammate. This makes it the carry of choice for crash ball runners in the wider channels, especially midfield, where one on one tackles are more common. The closed-ball carry, also known as an NFL-style carry, is when the players holds the ball close to the torso, hugging the ball tight in two arms, often with the ball pretty much horizontal in the carry. This bears a lot of resemblance to the way running backs in the NFL will carry a ball through heavy contact, hence the name. The goal of the closed-ball carry is entirely ball security. The hunched nature significantly reduces speed and the transition from catch to carry has to be quite early in a run, which signals to the defence the intent of attacker is simply crash ball with no thought for passing, kicking or engaging in footwork. On the plus side, it reduces the chances of a knock-on significantly and positions both hands on the ball, ready to place the ball in a ruck situation. The simplicity and security of the NFL carry makes it a favourite for tight five players moving into heavy contact, both from the pick and go and when attacking in traffic close to the ruck. Holding the ball in two hands is all about threat and control. A two-handed carry leaves open the triple threat of pass, run and kick from an individual carry before contact. This keeps the opposition guessing and doesn’t allow them to settle into a defensive approach leading into a tackle. The ball-in-two-hands approach also provides the most balance for using footwork, making it especially effective when combined with a sidestep. Leg drive is the ability to continue forward momentum after making initial contact. By continuing to drive the legs after contact an attacking player can improve the meters gained of their carry, moving their team further up the field than relying only on the momentum of their run leading into contact. Most players are taught the importance of leg drive in contact from their early playing days, and strong leg drive is often seen as a sign of a strong, committed player. But driving through the tackle isn’t always the best option. The other approach is to simply win the contact and almost immediately drop to the ground. This speeds up the play and increases the level of control the carrying player has in placing the ball. Centres like Jamie Roberts often strive for this sort of contact, immediately putting the defence on the back foot in wider channels with quick ruck ball not allowing the defence to reset. A poorly timed drop, however, will leave the ball open to a turnover if supporting players are not on hand to secure the ensuing ruck ball. That’s all the philosophy and the mechanics laid out, so how does all this work in practice at the elite level? It’s a bit of a chicken-and-egg situation with how a team’s approach to carrying relates to an overall game plan. Some game plans are highly dependent on having a particular type of carry executed well and often. Other times you have a player or players who can execute particular carries that are worth taking advantage of and so you develop game plans to match. Some examples? I hesitate to talk about Warren Ball as it is rather contentious, but Warren Gatland is on record as saying he developed the hard, straight running game plan because he felt it was the best use of the players he had available. He didn’t feel his players had the skills to perform an avoidance game and so he used players like Jaime Roberts to create a game plan based on powerful midfield carries. This was effective for a long time and it’s arguable that it would have remained so had Jamie Roberts not aged and lost some of his power in contact. The current approach taken by Eddie Jones and England is very dependent on being able to put the opposition on the back foot by chewing off territory in the tight loose, using big, hard carriers in the forward pack to get over the advantage line and recycle quickly to expose defences to the crisp running of their backline. This game plan is effective, but it can be argued that England doesn’t have enough players capable of these hard tight carries – when Billy Vunipola is unavailable, that tight gain line production is significantly reduced snd so too does England’s attack. New Zealand (and more recently Argentina) in contrast tends to want to quickly shift the point of contact, with many players going into contact with the ball in two hands, ready to pass and keep the ball alive. They are more interested in drawing the opponents into contact and then exploiting the resulting space than in simply recycling the ball. The issue with this approach is that a well-organised defence just keeps making the tackles and doesn’t give up space. 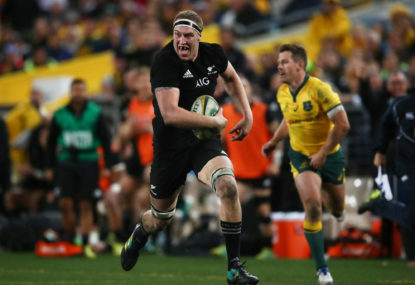 Luckily the All Blacks tend to be able to then rely on players with a variety of other carry approaches – Kieran Read or Liam Squire’s hard running or Shannon Frizell and Codie Taylor’s dynamism, for example – to put the opposition on the back foot. On recent form South Africa probably has the greatest variety of carry approaches both in its game plan and available to its players. Across the forward pack there is a mixture of raw carrying power, dynamism, skilful carrying, leg-driving grind and quick recycling drops to challenge any defence. The greatest weakness in the Wallabies game at present is their carry into contact. Australia is frequently guilty of playing a high possession game plan that lacks thrust. Without carriers who can break the line-up high, grind through the metres in contact or adequately drag opposition into contact and release teammates into space, Michael Chieka’s team really struggles to put defences under pressure and force defensive mistakes. Part of this is due to the lack of hard carrying outside of the props, who are physically limited in their ability to consistently stay in a game. This is really true of all props, not just Australia’s. Also a clear issue is the lack of carrying expertise in the back row. David Pocock has noticeably improved his work with ball in hand but is still not a reliable carry option to build a game around. Michael Hooper is a fast a dynamic runner of the ball but lacks the ability to gain an advantage in contact. A succession of players have struggled in the No.6 jersey to make an impact in attacking contact. 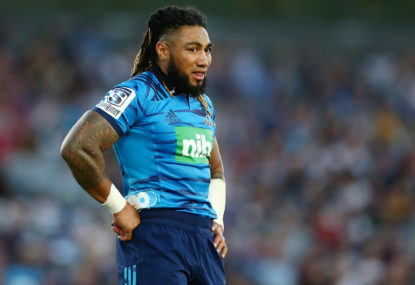 Further, without players like Samu Kerevi and Tevita Kuridrani in the midfield who are able to make meters in contact, the deficiencies of the forward pack are even more noticeable. Without someone winning the gain line battle on a frequent basis Australia’s attack remains anaemic and relies too heavily on opposition defences making misreads on dynamic wide moves. This is uncommon against well-set defences, evidenced by Australia shrinking tries per game numbers. As an aside, the recent Wallabies vs Pumas game in Salta showed just how dangerous the Wallabies can be when they put defences under gain-line pressure. 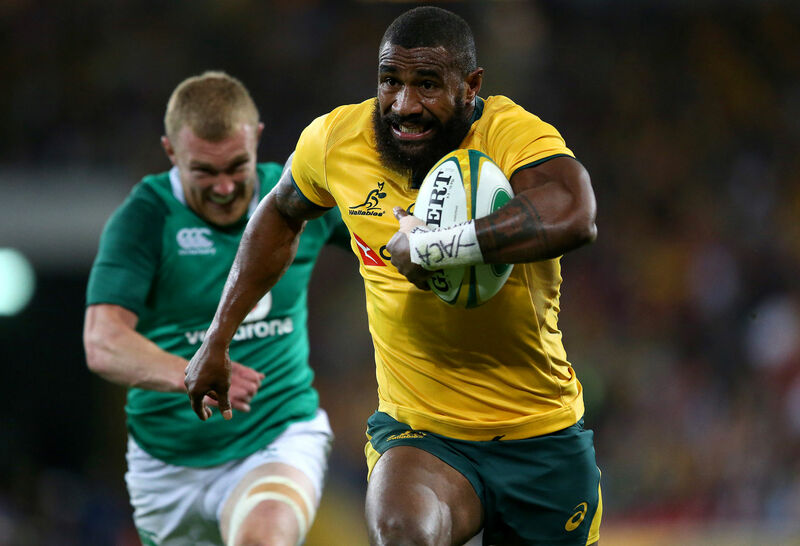 The main benefit of the rocket put up the team by Chieka was the massive increase of dominant carries over the gain line, which allowed the Wallabies backline to attack a back-pedalling defence. The approach to carrying and how effective players are at executing these approaches is key to both developing a game plan and the success of any game plan. Players use a number of techniques and positions as required by the plan and the situation, ranging from Sonny Bill Williams running upright into contact with the ball in one arm to Maro Itoje locking the ball with two hands into his chest and barreling low into contact. Each of these serves its purpose and can be a vital part of attack when used appropriately.